Happy Halloween from the Alarm Grid Team! Happy Halloween DIYers! It's that time of year again, and our entire team is ready. Our shipping team took the time to decorate the office and make everything spooky! We have bats, spiders and ghouls lurking in every corner. It sure has been fun setting up for the scariest day of the year! Alarm Grid will be operating business as usual for Halloween. Our office hours will remain from 9am to 8pm EST, and our monitored customers can call us at 888-818-7728 for any activations or troubleshooting. Just know that your Alarm Grid support technician might be in costume as opposed to their regular uniform! If you need to speak to us after hours, please send an email to support@alarmgrid.com. And of course, your monitoring service will still operate as normal, and Criticom will be protecting your business around the clock. Now with business out of the way, let's take a look at our office. Special thanks to the Alarm Grid shipping team for putting this together! Our Halloween decorations are present as soon as you walk through our main entrance! A ghoul is lurking by our front door, and we put spider webs and Halloween-colored ribbons on our stairway. Our main Alarm Grid sign got in the spirit with spiders and webs. More webs are present around the railing looking above. Employees who clock-in are greeted by a spooky bat that rests beside them. Each entryway has webs, spiders and bats. There's even a giant spider by the support room! And the bookcase in the planner room got the Halloween treatment as well. We put bloody handprints on the window looking outside toward our parking lot. More spider webs were hung around the entrance to our back hallway. Our taller employees really enjoyed walking through these webs throughout the month of October! A ghoul is hanging around the Honeywell IPCAM-WIC2 in our support room. And all of our tech boards got covered in spider webs! There was another entrance with webs that our tall employees really enjoyed passing through. The boards on the opposite side of the tech room also got the web treatment. Our conference room couldn't escape the fun, as it received a few bloody footprints on the windows. Lastly, a bat is flying around the writer's window (aka my desk). We hope that all of you have a safe and fun Halloween. Remember to arm your security system if you decide to go out. And if you don't already have security cameras, you might consider purchasing some. They are a great way to see any trick-or-treaters who are at your door, and they can help you catch anyone who decides to play any nasty tricks! Our team is here if you need any help. Happy Halloween! Hi DIYers! We have exciting news today, as Honeywell has completed the spin-off of its security divisions into a brand-new company, Resideo. Although Resideo has a license agreement to use the Honeywell Home brandname for the next 40 years, we expect the name to soon transition to Resideo. As for customers, we do not expect any major changes. Anyone who logs into Total Connect 2.0 will need to accept a new End User License Agreement (EULA). It is fairly standard, and it includes basically everything a user would expect to agree to when using a service like TC2. If you do not accept the agreement, then you will be unable to use the TC2 service. However, please feel free to read through the EULA when you have an opportunity. From what we can tell, it is no different from the EULA that customers agreed to when using TC2 from Honeywell. As for now, all of the Honeywell equipment will retain its current name. But this could change in the coming months. Honeywell actually went through a similar situation back in 2000 when it purchased Pittway and its subsidiary of Ademco. Shortly after this, all of the Ademco equipment was rebranded as Honeywell. This included the Ademco VISTA Series, which became the Honeywell VISTA Series that is still being sold today. So it's very possible that the Honeywell Panels and Honeywell Sensors could soon be sold under the Resideo banner. We expect more information to be made available in the near future. If you have any questions about this spin-off, please send us an email at support@alarmgrid.com. You may also call us at 888-818-7728 during normal business hours, which are from 9am to 8pm EST M-F.
Apple HomeKit Compatible Locks Available from Alarm Grid! Hi DIYers! We are excited to announce that several Apple HomeKit compatible locks have been added to our site! These locks are great for iOS users who have already got started with HomeKit and those who are interested in the service. Other new products have been released as well. With the increased popularity of smart home automation, Alarm Grid knows that there is now a stronger link than ever between security systems and smart home devices. HomeKit is one of the most popular smart protocols used today, and we know that many of our current and future customers appreciate using these functions on their iOS devices. This latest rollout of products from Alarm Grid is centered around smart locks that are compatible with the HomeKit service, which means they can be used with the Lyric, a HomeKit security system. If you have any questions about these new products, please not hesitate to reach out to us at support@alarmgrid.com. You may also call us at 888-818-7728 from 9am to 8pm EST Monday thru Friday. We have recently been made aware that the maximum range for the DSC 915 MHz PowerG Sensors is only 2,000 feet in open air when used with the IQ Panel 2 Plus. This is quite shorter than the 2 kilometer maximum range when these same sensors are used with DSC PowerSeries Neo Alarm Systems. Through testing, we have determined that the range of PowerG sensors is noticeably shorter when they are used with a Qolsys IQ Panel 2 Plus than with a DSC PowerSeries Neo. This is likely due to the smaller antenna that is featured on the IQ Panel 2 Plus System. On a DSC PowerSeries Neo System, the sensors can achieve their advertised wireless range of up to 2km in open air. But the IQ2+ can only support a maximum range of 2,000 feet with clear line of sight. If many obstacles and walls are present, we do not recommended trying to use these sensors beyond 500 feet away. Previously, we produced content that led some customers to believe that the maximum range of these sensors was 2km when used with the IQ2+. We have since learned that this is not the case, and we have adjusted our old content accordingly. These changes apply to all versions of the IQ Panel 2 Plus, regardless of which legacy daughtercard or cellular communicator is used. We apologize for any inconvenience that this may have caused for our customers. The only way these sensors can support a 2km signal range is when they are used with a DSC PowerSeries Neo System. These systems feature more powerful antennas that can allow these sensors to achieve their maximum possible distance. Alarm Grid does not sell any PowerSeries Neo Systems at this time, but we do offer compatible Alarm.com cellular communicators that allow us to takeover these systems. That being said, 2,000 feet of open air range is still extremely impressive for any alarm system. Even customers with the largest of homes and should be able to utilize these sensors as they see fit. And if the range still isn't enough, a PowerG wireless repeater can be used to effectively double the range. This will boost it to more than 1,000 feet when used in most homes and up to 4,000 feet when used in open air! Additionally, we've found that these sensors cannot auto-enroll with an IQ Panel 2 Plus like most other compatible sensors. Instead, the Serial Number for the sensor must be manually entered. For the PowerG Sensors, this is called the "DL ID", and it can be found on the sensor's box. The user must also set the Source Signal to reflect that of PowerG. Please keep this in mind when enrolling a PowerG Sensor with an IQ Panel 2 Plus Alarm System. UPDATE: We have since learned that you can auto-enroll PowerG Sensors with the IQ Panel 2 Plus. This post explains the process. If you have any questions about the IQ Panel 2 Plus or DSC PowerG Sensors, please do not hesitate to reach out to us. You may email us at any time at support@alarmgrid.com, or you can call us from 9am to 8pm EST M-F at 888-818-7728. We look forward to helping you with your security needs! 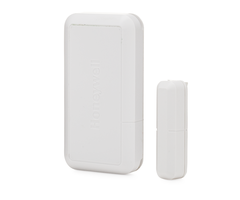 We have received news that Honeywell's AlarmNet servers are temporarily down. During the outage, Total Connect 2.0 will be down. The outage is also causing some alarm signals to not reach the central station. We apologize for any issues or inconveniences that this may cause for users. This is unprecedented in our history as an alarm company. We have never seen a partner fail to send signals through to a central station. We're relying on Honeywell to fix the servers quickly to make sure that your family is protected. At the moment, this error is affecting anyone who uses Honeywell's services (which is any company that monitors Honeywell equipment). We will be updating you about the situation as we hear more from the service provider. We expect service to return shortly. Alarm Grid will update when more info is available. UPDATE: AS OF 1PM EST, IT APPEARS THAT ALARMNET360 IS UP, ALONG WITH THE TC2 WEBSITE. WE HAVE NOT YET RECEIVED OFFICIAL WORD FROM HONEYWELL THAT SERVICES HAVE BEEN RESTORED. "At 11:42 am Eastern time today, the AlarmNet network experienced a disruption of services that impacted the operations of AlarmNet, AlarmNet 360 & Total Connect services. During this period, all transmitted signals were queued (not lost) and began to be transmitted as the services were restored. This may have caused a spike in AlarmNet signals during the recovery period. In addition, during this period, AlarmNet 360 was not available and consumers were unable to use their Total Connect apps for remote services. We have been monitoring the services since the recovery began at 12:42 and are comfortable that AlarmNet, AlarmNet 360 and Total Connect are fully operational. AlarmNet signaling services, AlarmNet 360 and Total Connect are the foundation of our security solutions and we will continue to strive for 100% reliability. We apologize for the inconvenience this has caused you and your customers." We have heard from Honeywell that some Lyric OC1 Cameras, also known as the IPCAM-WOC1, are experiencing temporary difficulties. Fortunately, no other Total Connect IP Cameras are experiencing any problems or issues at this time. Honeywell says that they expect to fix the problem shortly. 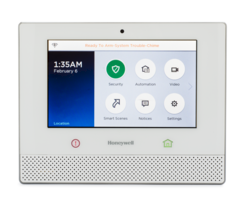 According to Honeywell, the problem is affecting newly activated Lyric OC1 Cameras. These cameras are currently failing to steam live video. However, the cameras are still successfully enrolling with TC2 and notifying users about any motion that is detected. We expect the issue to be resolved in the near future. Alarm Grid apologizes for any inconvenience this may cause for our customers. If you have any questions about this issue, please reach out to us at support@alarmgrid.com, or call us at 888-818-7728 from 9am to 8pm EST Monday thru Friday. Update: Honeywell has informed us that the problem has been resolved. If you enrolled a new Honeywell IPCAM-WOC1 yesterday and it's not streaming through Total Connect 2.0, first delete the camera from your TC2 account. Then press and hold the reset button on the camera to restore it to factory defaults. Then re-register the camera with TC2. It should now stream video properly. Hey DIYers! So you have central station monitoring from Alarm Grid. Great! Now you can receive automatic dispatch to your home or business during a break-in, fire or medical crisis. You and the people around you are now truly more protected! But can emergency services find the building? First, it can be helpful to consider how exactly central station alarm monitoring works. Every alarm system consists of multiple sensors and a centralized control panel. Each sensor is assigned to its own individual zone on the alarm system. When a security breach (e.g. an opened door or a broken window) or a life-safety event (e.g. a fire or an outbreak of carbon monoxide gas) occurs, a sensor will be activated. The sensor will send an alert to the control panel. Based on the programming settings for that zone, the system can be instructed to send out a remote signal that will ultimately reach a central monitoring station. The central station operates 24/7/365, and a highly trained operator will be immediately notified of any distress signal that comes through. The operator will have access to the user's account information, and they will contact the local emergency authorities in the user's area. The local authorities will then send out the appropriate emergency responders based on the type of alarm that occurs. A sometimes-overlooked aspect of central station monitoring is that human responders must be able to successfully locate the home or business where the crisis is taking place. In order to receive a fast emergency response, you will want to make it as easy as possible for the police, fire department or medical technicians to find your property. Sometimes it can be very clear where the trouble is occurring (e.g. a large fire, an obvious break-in), but more often than not, this is actually not the case. While emergency responders are highly trained in locating the correct property, you can still help them out by making your home or business easy to find. Alarm Grid understand this concern, and we ask customers to provide us with as much information as possible. This allows us to offer the best possible home and business alarm monitoring services every single time. Any information that we receive will be forwarded to our central station monitoring partner, Criticom Monitoring Station (CMS). By doing this, any operator at CMS will be able to relay the most accurate information to the local emergency personnel. Many of our customers wonder how they can make their home or business easy for others to find. Obviously, we take down basic information like an address. But this isn't always enough for an emergency responder to quickly locate the property. One way we help is by asking our customers to provide us with the nearest major cross-streets. This can be very helpful for pointing responders in the proper direction. At the very least, this is the basic information we require. But many of our customers go beyond these basic guidelines. This comes in the form of "special instructions" that we can provide to CMS. These special instructions can be anything that would help someone locate the property. For example, the special instructions might say "the yellow house on the corner" or "take a left upon entering the neighborhood". It is also crucial that any customer provides us with the gate code for their residence if they live in a gated community. Although special instructions are optional, they can be extremely valuable when emergency personnel are trying to find your home or business Remember, during a real emergency, every second counts! One of our customers, Brett, recently shared a great idea with us. Brett installed large, easy-to-read numbers that illuminate at night on his mailbox. This way, any emergency response team that arrives at his residence will be able to quickly verify his house number. We think this is an excellent idea, and we encourage all of our customers to follow Brett's lead by making their homes easier to locate. If you are new to alarm monitoring, or if you would like to update the special instructions on your CMS account, please do not hesitate to reach out to us! You can always email us at support@alarmgrid.com, or you can call us at 888-818-7728 from 9am to 8pm EST M-F.
We would also like to offer special thanks to Brett for allowing us to use his picture in this post. Thank you Brett, we are very proud to help keep you and Shadow the Cat safe! Hi DIYers! Last week, we took a look at some takeover modules that allow existing life-safety sensors to be used with wireless systems. Specifically, we examined the Encore FF345 for 345 MHz systems and the SLX-AD-T3 for 319.5 MHz systems. Now, we offer a module for 433 MHz systems as well! Despite its name, the DSC WST-600 actually operates at 433 MHz. This is the frequency commonly used with DSC Panels, including the wireless all-in-one DSC Impassa. It works in essentially the same manner as the other takeover modules. 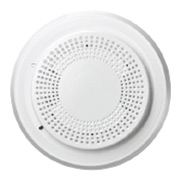 This involves continuously listening for the unique temporal sound of an activated smoke detector or carbon monoxide detector. As long as the sensor has the appropriate sounder, it can be used in this way. And if the sensors are interconnected, a single DSC WST-600 module can monitor the entire building! The DSC WST-600 is programmed with a DSC System as though it were a regular 433 MHz wireless smoke or CO detector. Most users will program this type of device so that it has the system send out an emergency alert as soon as it is activated. This way, the user can receive automatic emergency dispatch from a central monitoring station. For best results, the DSC WST-600 should be placed within six inches of the life-safety sensor that it is monitoring. This way, the sensor will be able to actively detect the sound of the activated sensor. Overall, this sensor is a great way to monitor existing smokes and CO sensor so that the end user can save money. The DSC WST-600 is available for purchase now on the Alarm Grid site. It is perfect for anyone with a DSC Impassa who wants to integrate hardwired life-safety sensors or conventional battery-powered life-safety sensors with their system. Get a DSC WST-600 takeover module to protect your home or business.